Preacher is back in action. AMC has just released a new teaser for the TV show’s season three debut. 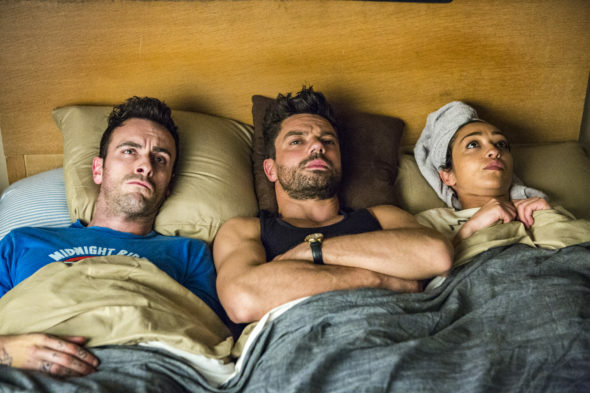 Season three of Preacher premieres on AMC on June 24th at 10 p.m. ET/PT. “Preacher,” is a dramatic thrill ride that follows West Texas preacher Jesse Custer (Dominic Cooper), his badass ex-girlfriend Tulip (Academy Award(R) nominee Ruth Negga) and an Irish vampire named Cassidy (Joseph Gilgun) as they embark on a road trip to find God and are thrust into a twisted battle spanning Heaven, Hell and everywhere in between. Can’t wait for the freaking awesome Betty Buckley to join this cast. Waiting to get the DVR set as to not miss an episode. I stopped watching halfway through the second season. Liked the first season though, surprised Negga is back because supposedly she, and Cooper ended their relationship.